Speedo International Ltd ("We" or “Us”) are committed to protecting and respecting your privacy. 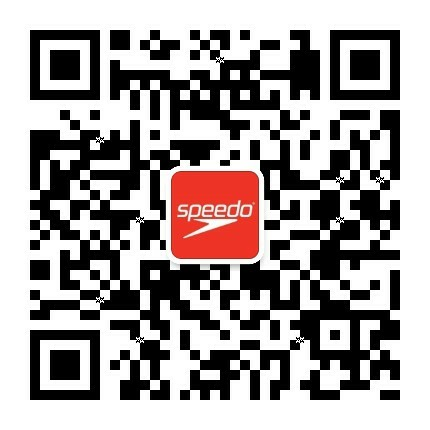 This policy applies to your use of www.speedo.com.cn. Please read the following carefully to understand our views and practices regarding your personal data and how We will treat it. For the purpose of the Chinese laws and regulations on data protection, the data controller is Pentland Trading (Shanghai) Limited with registered office address at 上海市黄浦区湖滨路222号1号楼15楼1523室. • Information that you provide by filling in forms on our Website. This includes information provided at the time of registering to use Our Sites, subscribing to our service posting material, creating or updating your personal profile, taking part in a prize draw or competition, newsletters or exclusive offers via email or requesting further services. We may also ask you for information when you enter a competition or promotion sponsored by Speedo International Ltd, and when you report a problem with any of Our Sites. • Details of transactions you carry out through Our Sites and of the fulfilment of your orders. • Details of your visits to Our Sites including, but not limited to, traffic data, location data, weblogs and other communication data, whether this is required for our own billing purposes or otherwise and the resources that you access. • Device information: We may collect information about the Device, including, where available, the Device’s unique device identifiers, operating system, browser type, and mobile network information as well as the Device’s telephone number, for system administration and to report aggregate information to our commercial partners. We may associate Device information with information that you have provided and will treat the combined information as personal data in accordance with this policy for as long as it is combined. • Location information: when you use one of our location-enabled Services, We may collect and process information about your actual location. Some of these Services require your personal data for the feature to work. If you wish to use the particular feature, you will be asked to consent to your data being used for this purpose. • Unique application numbers: when you install or uninstall a Service containing a unique application number or when such a Service searches for automatic updates, that number and information about your installation, for example, the time of operating system, may be sent to Us. 我们用这些信息做什么？– WHAT DO WE DO WITH THE INFORMATION? We will require you to provide particular personal information for the purposes of completing your order. We will only use this information for the purposes of managing your order or your usage of Our Sites. Providing additional personal information is up to you. We collect personal information to enter you into contests and notify you of results, to e-mail you with updates, news and special offers, to respond to your questions or comments, to register you for certain features on Our Sites. Speedo International Ltd (and those people or companies employed by Speedo International Ltd who help make Our Sites, its content and its services) will process and use your personal information in order to respond to your feedback – like responding to problems, improving our services and gearing what We do to suit our requirements further. Session cookies are like a token which records things like page or product selections as you move through Our Sites, so you don’t keep getting asked about things you’ve already told us. Session cookies (and the information they record) are erased when you close your browser after a browsing session. Tracking cookies help Us remember your details and settings for when you come back to Our Sites in the future, which means you get easier, faster access. They stay on your hard drive until you delete them or they expire they have various expiry dates, up to two years. Web analytics cookies help Us learn what content is most helpful for our users. They count the number of visitors, and then look at how they like to move around Our Sites. This data helps Us make your experience of Our Sites much better because, We’ll know the sort of things you look for and can make sure you find them easily. Blocking Cookies You can block cookies – just activate the setting on your browser that allows you to refuse them. Please note, if you block all cookies you may not be able to access all areas of Our Sites, and you might not be able to shop with Us. Acceptance of cookies If your browser is set to accept cookies, our system will issue them when you visit Our Sites – which is good because ultimately We want you to have the best possible experience whenever you visit Our Sites. • To ensure that content from Our Sites is presented in the most effective manner for you and for your Device. • If Speedo International Ltd or substantially all of its assets are acquired by a third party, in which case personal data held by it about its customers will be one of the transferred assets. You have the right to ask Us not to process your personal data for marketing purposes. We will usually inform you (before collecting your data) if We intend to use your data for such purposes or if We intend to disclose your information to any third party for such purposes. You can exercise your right to prevent such processing by checking certain boxes on the forms We use to collect your data. You can also exercise the right at any time by contacting Us online, or by writing to Us at Pentland Trading (Shanghai) Limited at 15/F, Room 1517-1518, Corporate Avenue1, NO.222 Hubin Road, HuangPu District, Shanghai City, PRC. Our policy is to allow users to unsubscribe from our regular emails at any time. You can do this by clicking on the Unsubscribe link at the bottom of the email you’ve received. Should you experience any problems please call our Customer Services Team who will assist you.